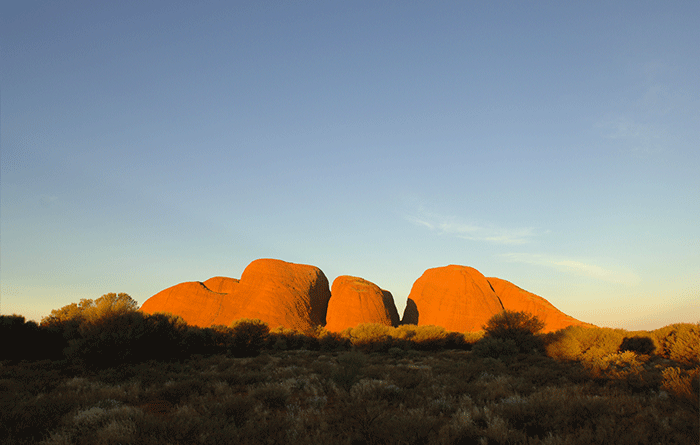 Affordable, friendly, direct transfers to visit Uluru (Ayers Rock) and Kata Tjuta (The Olgas). Get up close to the amazing natural rock formations of Uluru and Kata Tjuta. Choose your own walks at a time and pace that suits you. Be driven to Uluru and Kata Tjuta in comfort. Visit the Cultural Centre and learn more about the history and geology of our fascinating rock formations as well as the local Anangu Indigenous culture. Uluru Hop On Hop Off has a number of tour packages available for Uluru and Kata Tjuta. Our tours can be tailored to suit your individual circumstances. If you have a question about the tour or require more information before booking then please contact us. Children’s prices apply to those aged from 1 – 15 years. National park ticket prices are not included. Prices include GST. All bookings can be made here on our website and paid for via credit card or direct deposit into our Australian bank account (we will send you a Tax Invoice for payment). 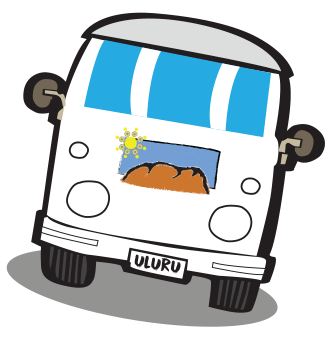 ‘Once you book your ticket please ring our office on 0889 562019 or email sales@uluruhoponhopoff.com.au and let us know what times you want to get on the bus so you don’t miss out due to high numbers of people during April – October’. We collect you from your accommodation and take you to Uluṟu where you are free to enjoy the walks and attractions at your own pace. Our experienced drivers will help organize your day. This transfers entitles the guest to be transferred once only to Uluru (Ayers Rock) and returned at a designated time corresponding to the current timetable. Including sunrise or sunset. This entitles the guest to be transferred once only to Kata Tjuta (Olgas) and returned to Resort as per timetable. This ticket is for a return trip to Sunset at Kata Tjuta only. Available September to April. One day pass entitles the guest to visit and enjoy Uluru (Ayers Rock) unlimited times throughout a 24 hour period, from sunrise to sunset. This pass also entitles the guest to one only transfer to Kata Tjuta (Olgas) within that calendar day also. 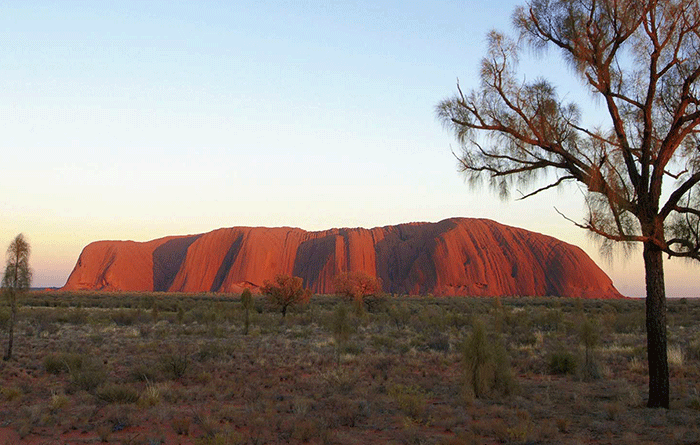 Two day pass entitles the guest to visit and enjoy Uluru (Ayers Rock) for a full 2 calendar days. This pass also entitles the guest to one only transfer to Kata Tjuta (Olgas) within duration of ticket. Three day pass entitles the guest to visit and enjoy Uluru (Ayers Rock) unlimited times for a full 3 calendar days. This 3 day pass also entitles the guest to do 2 Kata Tjuta (Olgas) within duration of this 3 pass. *National Park tickets not included in price.